Grain/Texture: Grain is usually straight but can also be interlocked. Fine even texture with very high natural luster. 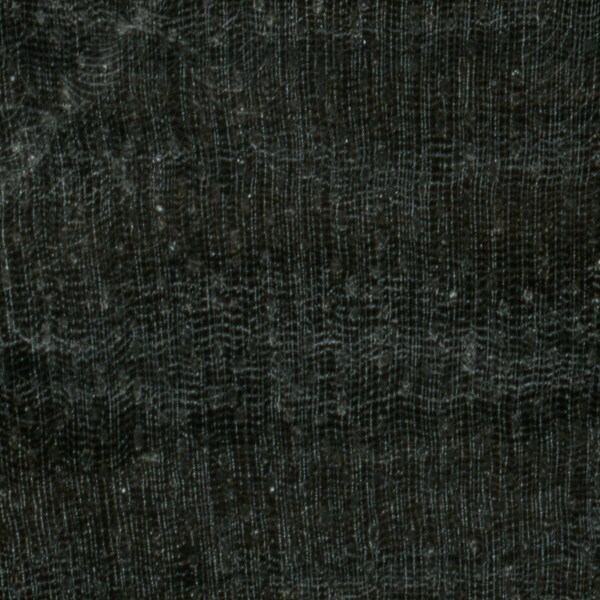 Endgrain: Diffuse-porous; medium to large pores in no specific arrangement, few; solitary and radial multiples of 2-3; black mineral deposits present; growth rings indistinct; rays not visible without lens; parenchyma reticulate/banded, possibly marginal, apotracheal parenchyma diffuse-in-aggregates, paratracheal parenchyma vasicentric. 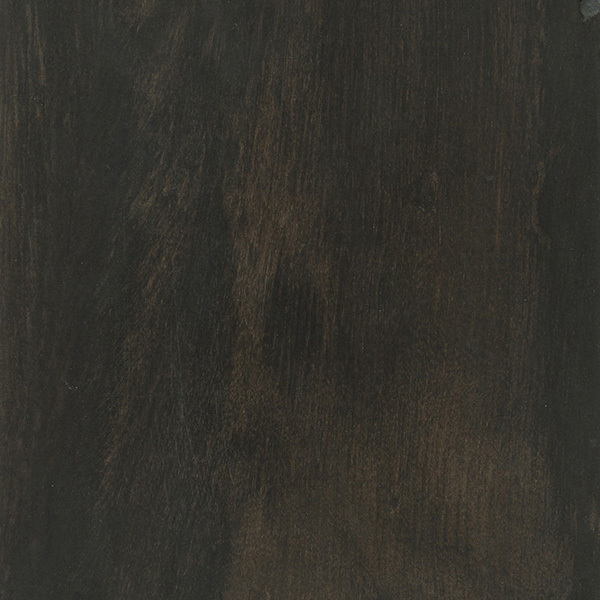 Rot Resistance: Ebony is rated as being very durable, with good resistance to termites and other insects. Workability: Can be difficult to work due to its extremely high density. Has a dulling effect on cutters. Tearout may occur on pieces that have interlocked or irregular grain. Due to the high oil content found in this wood, it can occasionally cause problems with gluing. Finishes well, and polishes to a high luster. Responds well to steam bending. Odor: Ebony has a mild, slightly unpleasant odor when being worked. 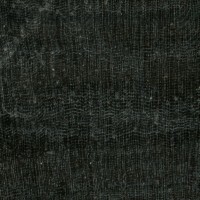 Pricing/Availability: Gaboon Ebony is among the most expensive of all available lumbers: usually about two to three times more expensive than most species of Rosewood. The small size of the tree, and its high demand for ornamental work may contribute to its seemingly outlandish price. Sustainability: This wood species is in CITES Appendix II (for Diospyros species from Madagascar), and is on the IUCN Red List. It is listed as endangered due to a population reduction of over 50% in the past three generations, caused by exploitation. Common Uses: Small/ornamental items, such as piano keys, musical instrument parts, pool cues, carvings, and other small specialty items. Comments: So named because historically most of the wood was exported from the nation of Gabon, though today it’s much more likely to be sourced from Cameroon. 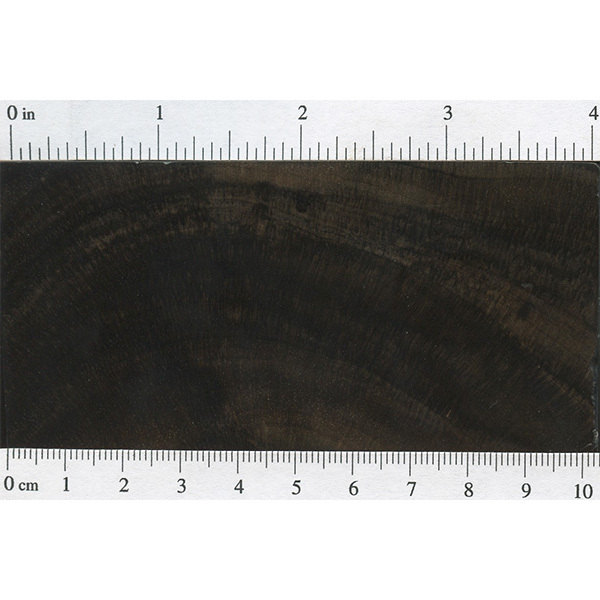 There’s no mistaking Gaboon Ebony as there are few woods that are deep and solid black (unless dyed), and even most species in the Diospyros genus aren’t black. 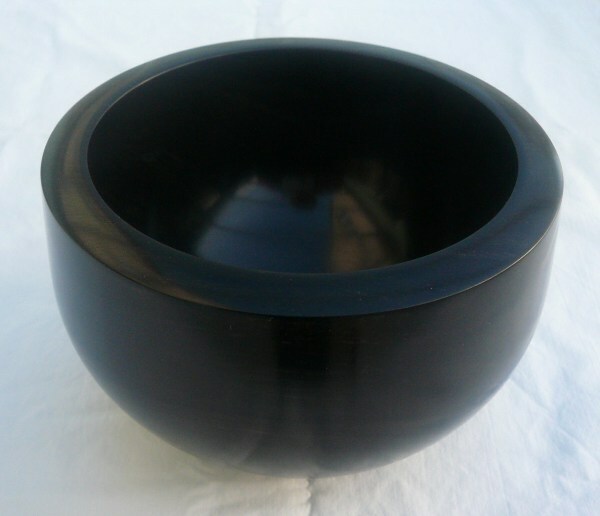 Other types of ebony include: Macassar (striped) Ebony, and Black and White Ebony. 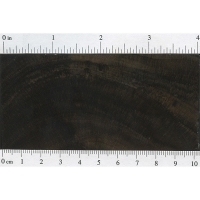 African Blackwood is very similar in density, color, and (unfortunately) cost, but is technically in the Dalbergia genus and isn’t considered a true ebony. Wenge and Katalox are two woods that are sometimes used as an ebony substitute. The wood is exceptionally dense, strong, and stiff, though it is considered to have moderate to poor stability through seasonal changes. Scans/Pictures: For the endgrain zoom, I’ve slightly modified the brightness of the image to help show the details of the pores and parenchyma. Due to its high density, you can also view a video showing how Ebony sinks in water. A special thanks to Steve Earis for providing the turned photo of this wood species. 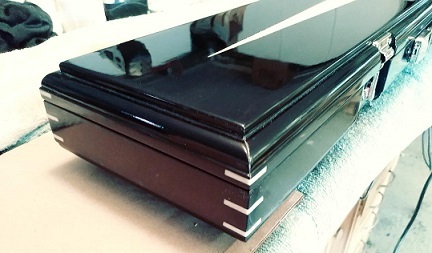 I made a custom pool cue case out of this for a client. It took 3 months just to locate boards wide enough! As you can see for the attached picture it turned out awesome but I will never attempt it again. Too heavy to be practical and the box could break if dropped. But I have to admit it is the most beautiful case I have ever made! The wood is brutal on your tools. The most interesting thing I discovered is the weird sawdust. Jet black is just strange to see!! I have this wood on my Gibson Les Paul fingerboard and boy does it look (and sound) gorgeous! I came across the word ‘ebony’ while reading the Bible book of Ezekiel in chapter 27 and verse 15. So I searched on line to see where it is grown. I have an all black rescue cat that I named Ebony. Not only is it fitting due to er color, but also because she is stubbornly quite vocal when she wants fed or just wants attention. 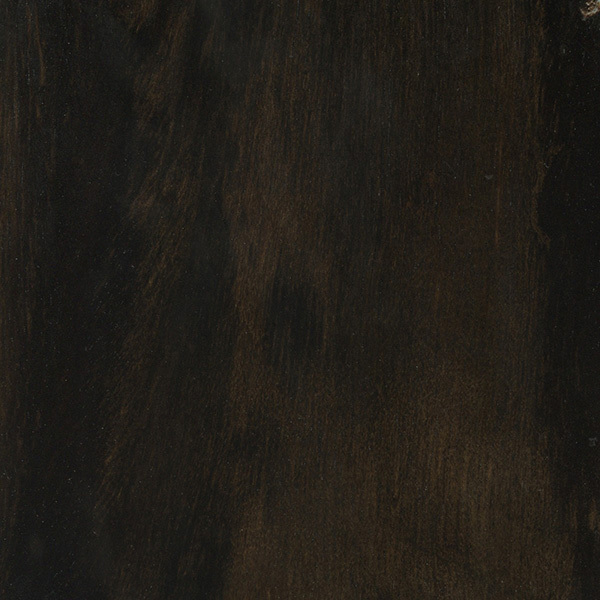 Jake is totally right about this expensive wood — Gaboon Ebony. a better natual finish would be hard to find, just remember that the wood is murder on your hand tools, and you must go slow with the power saws. the smell from the dust can be nasty, it feels like you have swallowed soap.